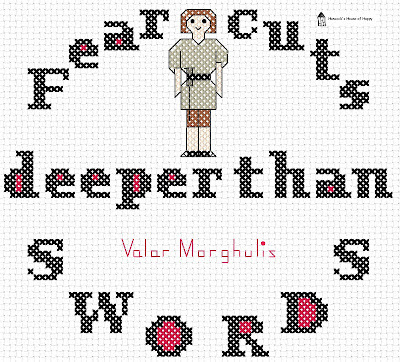 Fear Cuts Deeper than Swords: Game of Thrones Sampler. Get the chart below. This little cross stitch sampler design was inspired by Arya Stark of Game of Thrones fame. I have posted before about my ambivalent opinion of George R. R. Martin's epic tale of office politics in the mythical realm of Westeros but I find some books to be rich seams of cross stitch possibilities. Why Game of Thrones? Well the women and girls in it are taught "traditional" lady skills such as sewing and embroidery. 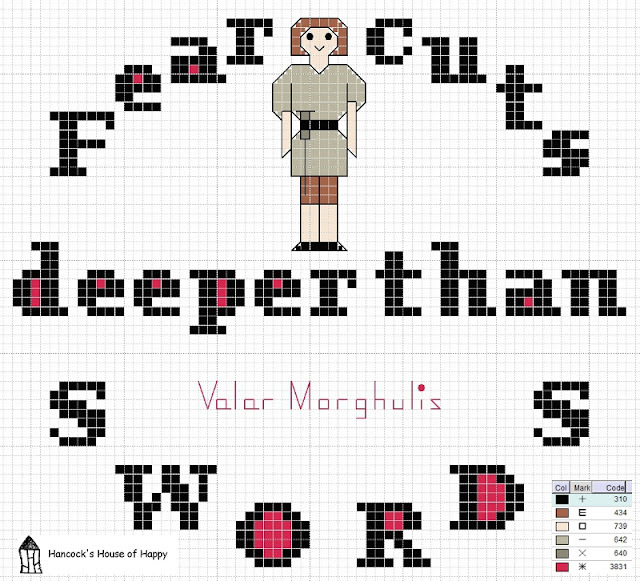 If the women of Westeros are cross stitching then what are they cross stitching? The book is full of little sayings and detailed descriptions of coats of arms and clothing and furnishings. I would like to think that pragmatic and inexhaustible little Arya would have worked a sampler like this during her time in Kings Landing. Her character is not very fond of girly hobbies like embroidery, preferring her "dancing" lessons with a sword master. She might have made him this as a token of her thanks and admiration for his skills and wisdom. 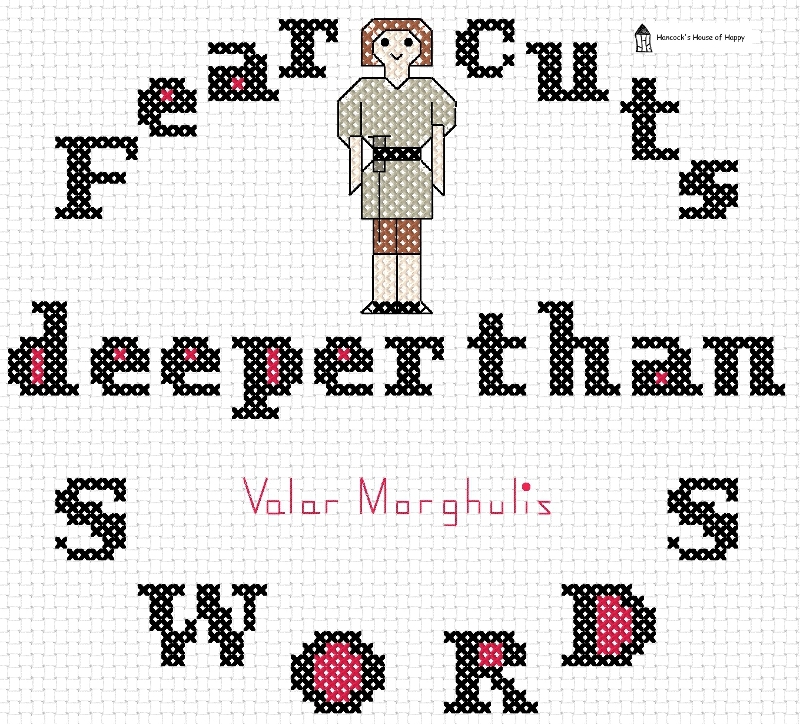 Fear cutes deeper than swords.